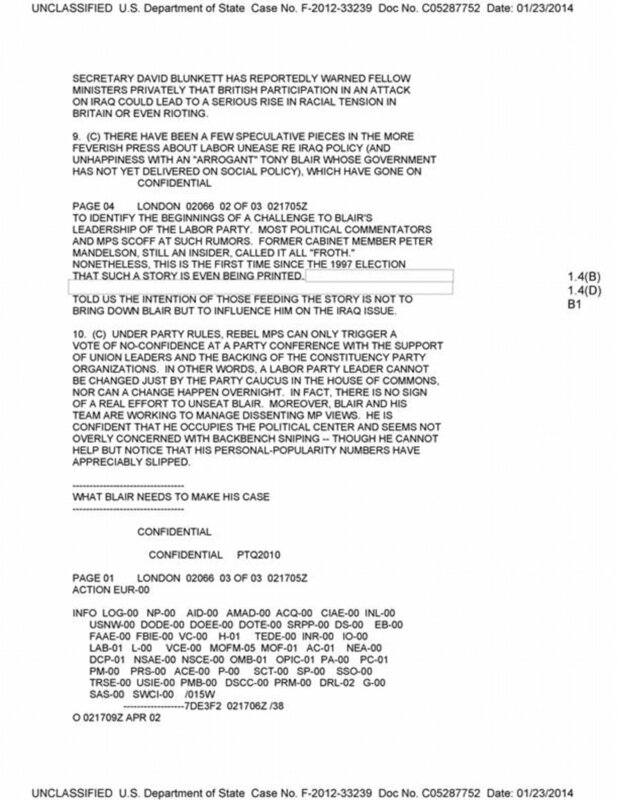 In a stunning blow to the official narrative propagated by the Bush administration, recently released, declassified emails have exposed the numerous lies government officials espoused in the months leading up to the war in Iraq. The emails were received by Hillary Clinton when she was secretary of state and were subsequently stored on her private email server. 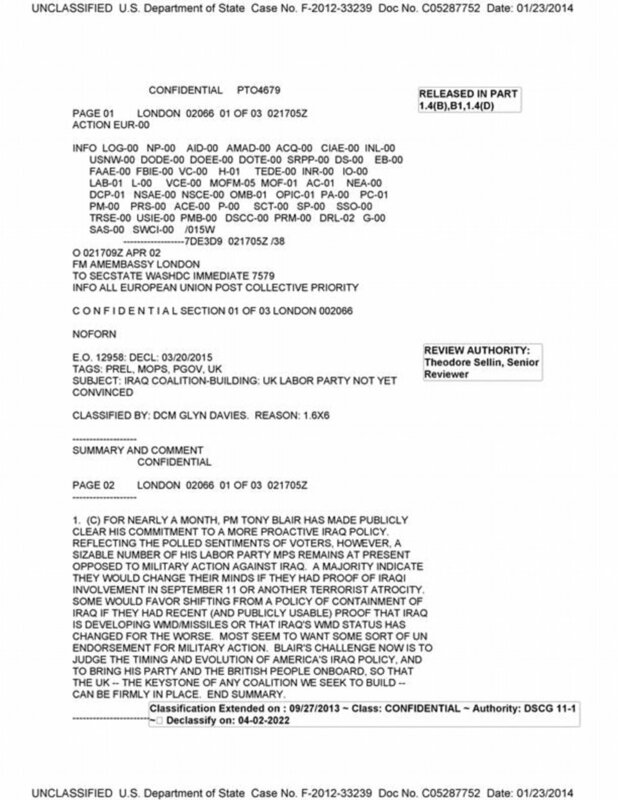 The documents on Clinton’s server have been released due to rulings from U.S. courts. 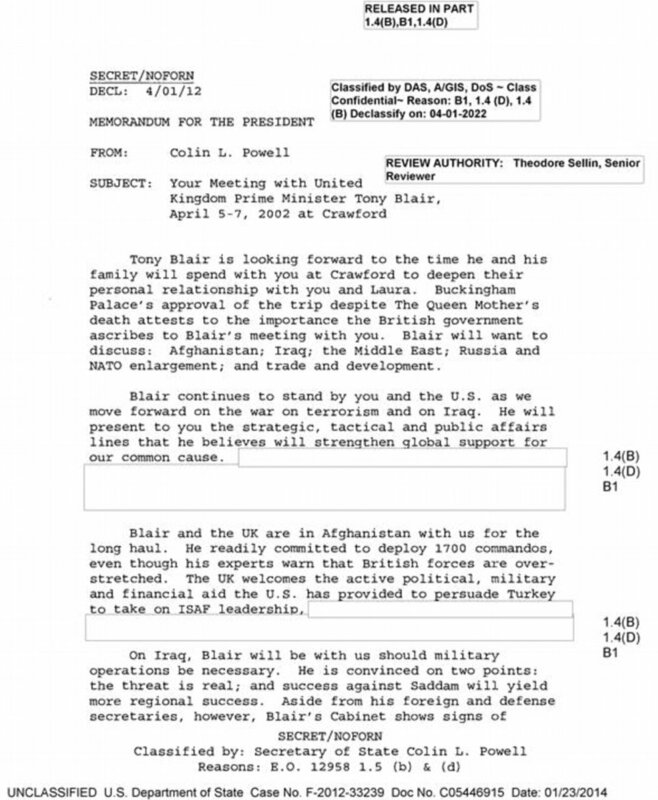 One email from then-Secretary of State Colin Powell to former President George W. Bush, details an upcoming meeting between the President and British Prime Minister Tony Blair which was to take place from April 5-7th, in 2002. 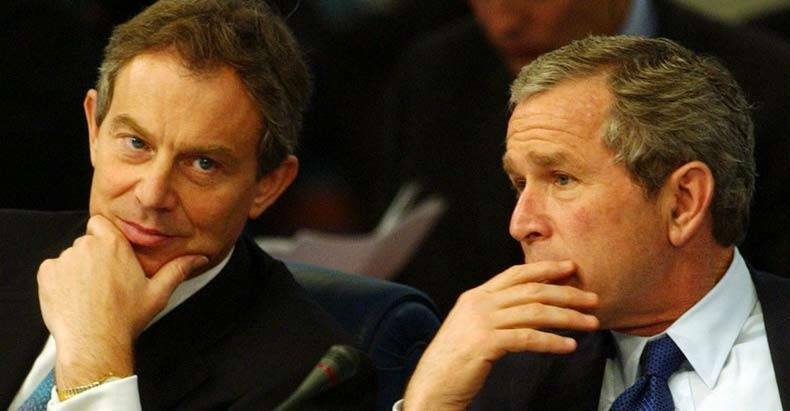 This meeting became known as the Crawford summit and was widely speculated to have been used to discuss the invasion of Iraq. The release of these emails shows that this was, in fact, the case. 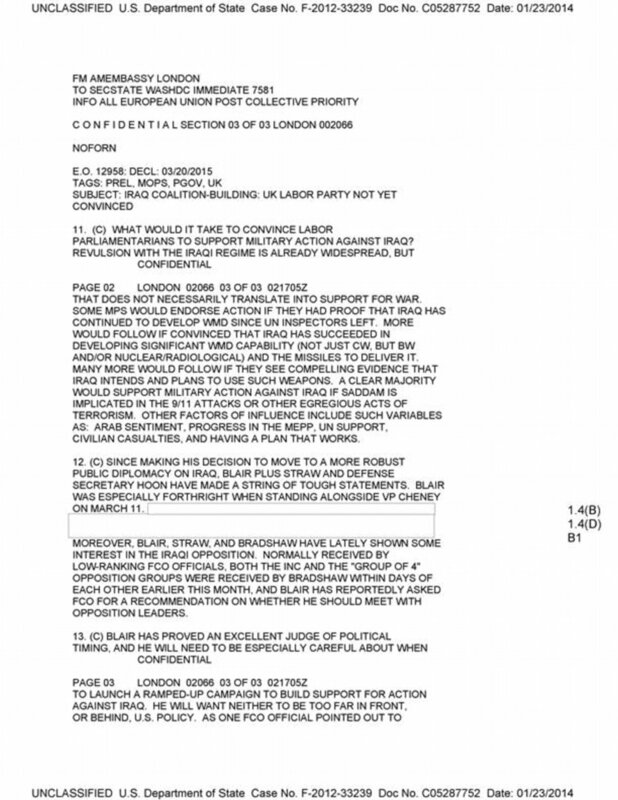 A second memo which was drafted by the U.S. embassy in London, reveals how the Bush administration used ‘spies’ in the British Labor Party to help shape British public opinion in favor of the war. It is no secret that politicians lie to achieve their goals. What this information reveals, however, is the extent to which they will go to achieve these goals. Following the Crawford summit, a massive propaganda campaign was launched to drum up support for the war. 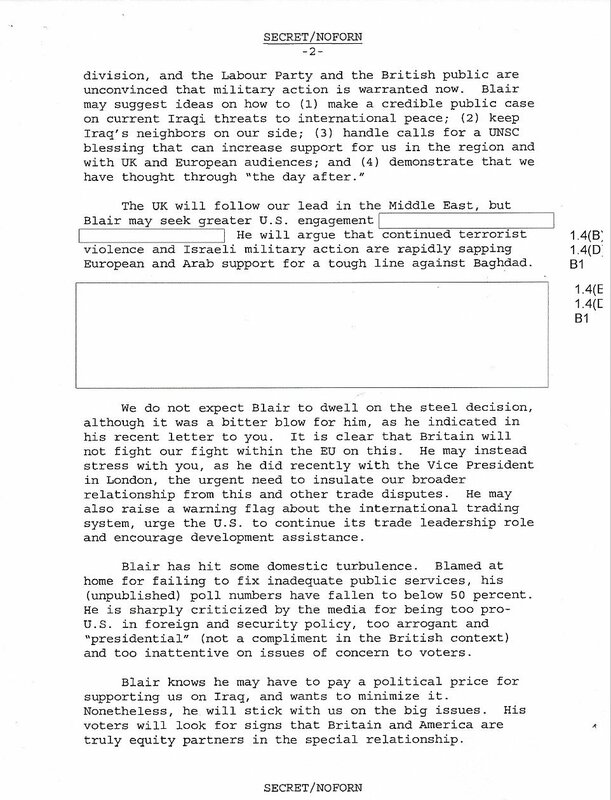 Media began being inundated with threats of terrorism and government officials repeatedly went on the record accusing Iraq of having weapons of mass destruction. While this may come as a surprise to some Americans, it confirms what many have suspected for years. The U.S. Government and its allies lied to their citizens to promote a war of aggression in order to achieve their political agendas. The fact that this war was shoved down the throats of citizens, despite worldwide protests against it, is nothing short of criminal. Unfortunately, it is unlikely that anyone will be charged for committing this blatant crime against humanity, which has killed over 4,000 American soldiers, over 200,000 Iraqis and has cost American taxpayers in excess of $2 trillion dollars. When you lie to the government it’s a crime, when the government lies to you it’s politics.